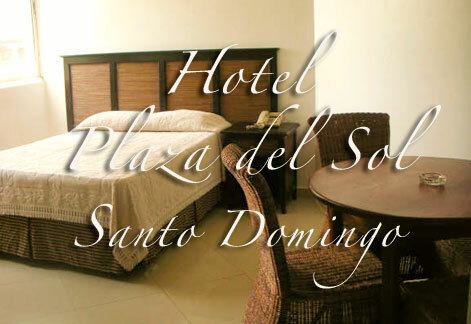 Welcome to the website of the Hotel Plaza del Sol where you will be able to find all the necessary information to contact us as well as information about the facilities and directions to our hotel. In Santo Domingo you will be able to enjoy from a variety of activities. You can tour the colonial area, it's squares and monuments. Also the chic and local restaurants where you will enjoy the caribbean city flow. We have a 24 hours reception service, elevator, electricity generator and wheel chair access, fax and photocopies service. Currency change is available at our reception for your convenience.